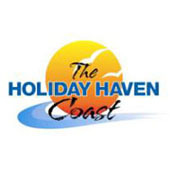 Whether you are towing a caravan, pitching a tent or wanting a waterfront cabin accommodation,Holiday Haven offers you the choice of 12 beachfront, riverfront or lakefront Tourist and Caravan Parks along the South Coast of NSW. Note: Not all facilities available at all parks. Please check with individual parks upon booking. Greg and Elsie Cogar’s friendly customer service makes dealing with UFO Solutions a rewarding and happy experience. Please Contact Us for more information or to discuss your requirements. Your Local Club, Supporting Your Local Community. The Milton Ulladulla Ex Servos Club is a 10 million dollar development, opened in February 2009. 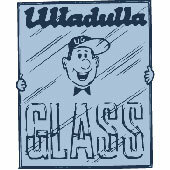 Delivering the finest in food, premium wines, chic surroundings, and in a safe, friendly, family environment. Located only 3 hours south of Sydney or two minutes from the heart of Ulladulla, makes for an ideal place to break up our journey, or better still, a home away from home, guaranteed to deliver a great experience every time. Free Courtesy Bus – buses leave the Club approx. every half hour. The North Bus run travels between Ulladulla, Mollymook, Narrawallee and Milton, and the South Bus run covers Burrill Lake, Dolphin Point, Lake Tabourie and Kings Point. Bookings essential – contact the Club. Free Kids Club – Ages 3-11. Friday & Saturday 6pm-9.30pm. Sunday 4.30pm-8.30pm. Bookings essential – contact the Club. Trivia – Wednesday 7.30pm. Maximum of 6 per team. Regular artists continue to perform and entertain our members and guests every Saturday Night Live in the Lounge. 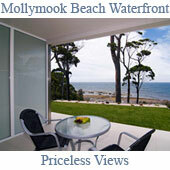 Mollymook is a magnificent seaside escape, ideal for holidays and weekend getaway. The district is a comfortable 3 hours drive south of Sydney and just over 2 hours from Canberra. Boasting two magnificent golf courses, visitors and non members are welcome all year. The renovated and refurbished Mollymook Beach Club House is a big hit with locals and visitors alike, with stunning contemporary interiors and breathtaking views. The Saltwater Grill and Cafe offers casual friendly and affordable dining with spectacular ocean views, our other facilities include live weekly entertainment, Beachside Bottleshop, Platinum TAB, Children’s Retreat, Courtesy Coach and Function facilities for up to 250 guests. Our Championship Hilltop course is 18 holes of bushland beauty, situated so that you can l hear the waves rolling in on Mollymook Beach. Affectionately known as ¨The Ultimate Challenge¨ and rated No.97 golf course in Australia. Beachside is a 9 hole Par 33 course the course sits atop the southern tip of the beautiful Mollymook Beach and ambles around the stunning Collers Beach inlet. Mollymook Beach Waterfront provides award winning 4.5 star luxury executive accommodation for couples with breathtaking ocean views in a quiet peaceful location. Ocean reserve frontage, watch dolphins surf the reef, whales during their migrating season, surfboard riders on the famous Mollymook reef break and listern to the sounds of the sea. Mollymook Beach Waterfront hosts, multi award winning operators Ken & June Banks are available to ensure that your break is all that you desire. Guests are provided with a complimentary generous gourmet breakfast hamper, coffees and teas, snacks, chocolates and a complimentary bottle of Seaview wine. They also provide extensive local tourism information and can assist with restaurant bookings. First Choice AccommodationLocation, Location, Location. Waterfront is the only Mollymook holiday accommodation looking onto the famous Mollymook surfing “Reef Break”! 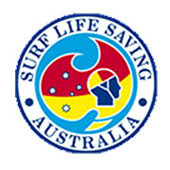 Surf Life Saving Australia (SLSA) is a highly federated and geographically dispersed corporate body with several organisational layers incorporating 305 local surf lifesaving clubs, 17 regional branches in NSW and Queensland, and seven state and territory centres. Under our constitution, these state and territory centres are the ‘owners’ of SLSA. The peak policy and decision-making board for surf lifesaving in Australia is the SLSA Australian Council (AC), made up of the national President, the seven Presidents of each state and the Northern Territory, the directors of SLSA’s three operational areas – Lifesaving, Surf Sports and Development, and SLSA’s CEO. The Presidents and Directors are all volunteers. The Directors of Lifesaving, Surf Sports and Development are assisted by their own boards. The AC delegates the management of SLSA to the Board of Management (BOM), made up of the CEOs (or General Managers) of each State and the Northern Territory, the CEO of SLSA and four of his senior managers. SLS NSW aims to supply services that minimise danger and prevent loss of life or injury to beach users in a beach and aquatic environment. Enjoying the beach should be both safe and fun, especially if you only swim between the red and yellow flags. The flags have been placed there by the experienced surf lifesavers to indicate the safer place to swim. If there are no flags and you can’t see any lifesavers on patrol, think twice before going into the water. SLS NSW supplies services that minimise danger and prevent loss of life or injury to beach users in a beach and aquatic environment. Over 120 surf clubs along the New South Wales coastline patrol more than 200 beaches throughout the surf season. 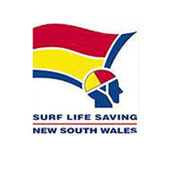 Surf Life Saving New South Wales is proudly supported by a number of generous sponsors. Anyone can lend their support to Surf Life Saving New South Wales at a number of different levels.